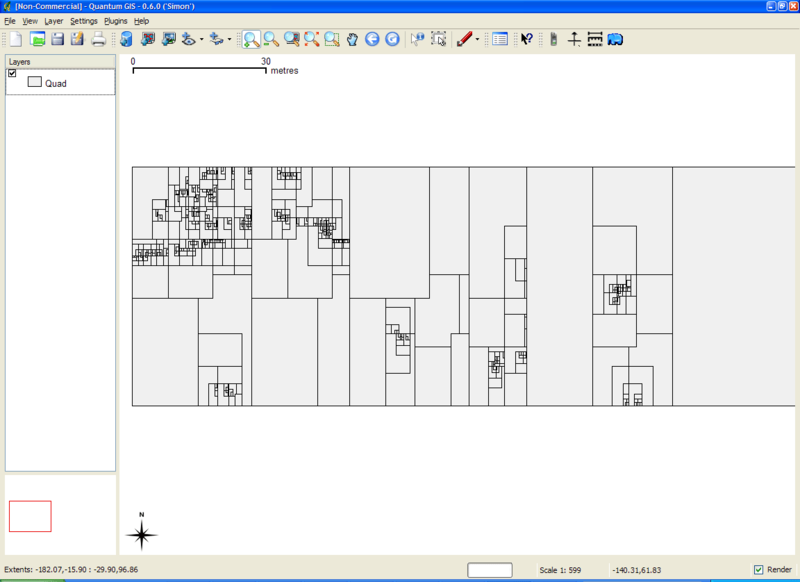 This utility can be used to view the quadtree quadrants that are part of a .qix file (that was created with the shptree utility). A Shape data set named “quad.shp” is created. You can now view this Shape data set in a desktop GIS (such as QGIS for example) to see the quadtrees that were created with the shptree command, as shown below.